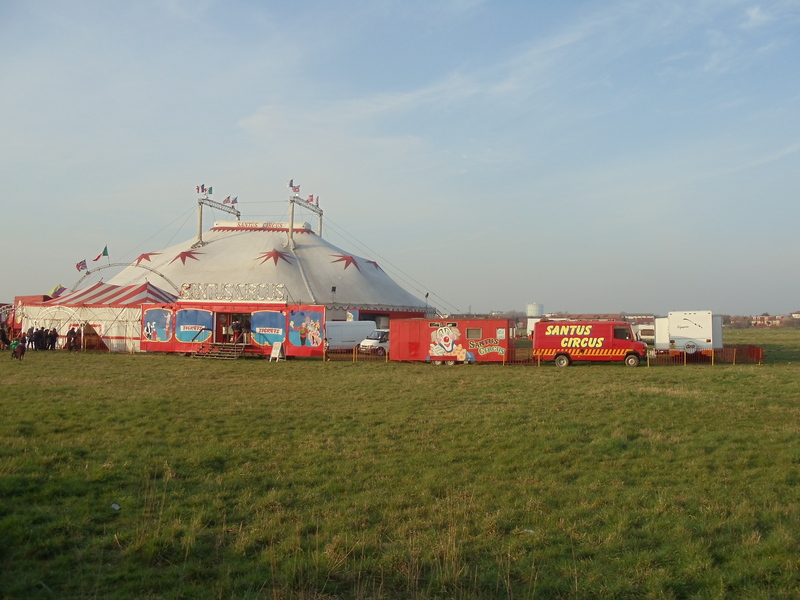 Santus Circus set up its big top in West London last week meaning that there were clowns in town – real ones! (Not just the regular clowns you come across on an average day.) I was pretty excited about seeing something like this locally. 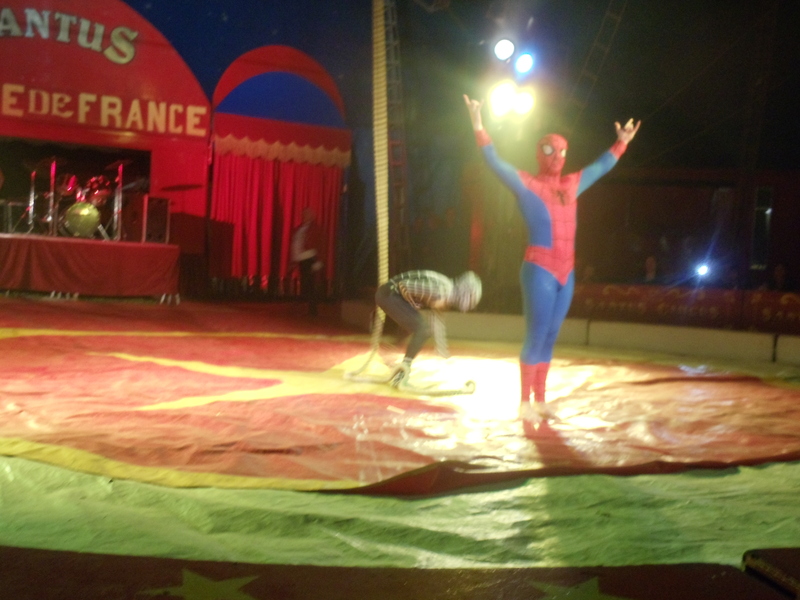 Plus, as I was to discover Le Cirque de France had an international flavour with acts from far afield as Colombia. The show kicked off with Tony and Nicole from the Czech Republic juggling all sorts. Later they would also do a bit of knife throwing. It had me thinking about doing some when I get home – juggling not the knife throwing. Juggling improves hand-eye co-ordination as well as having other benefits like looking impressive at a social gathering. Unfortunately my photos are a bit blurry as I was unable to use the flash. Without giving the whole show away the other acts included Ruby who hula-hooped with many rings. Again, I was thinking it would be fun to do something like that to provide a break from the norm. In between the acrobatics and balancing acts a clown provided some good old mischievous fun. Although I do think the ringmaster could have been a tiny bit more enthusiastic. I got the distinct feeling he was a bit tired of repeating the same script. The one act that left me a bit perplexed was a dude in a giant Slinky. The good thing about his act was that if the kids did decide to copy it there’s unlikely to be much damage. Unlike the plate spinning which probably was mimicked. I bet there were a few smashed plates in West London last week. Things got really interesting when Spider-Man made an appearance. He was climbing ropes while fighting his nemesis with some cool aerial twists and turns using silk fabric. The trapeze act was the highlight of the show with Flying Rodriguez who hail from Colombia swinging around! During last week I came across a friend who did an experience event where she learnt to perform a trapeze trick. She told me that she felt broken afterwards but she would try it again. So, that was one act that was hard as it looked. 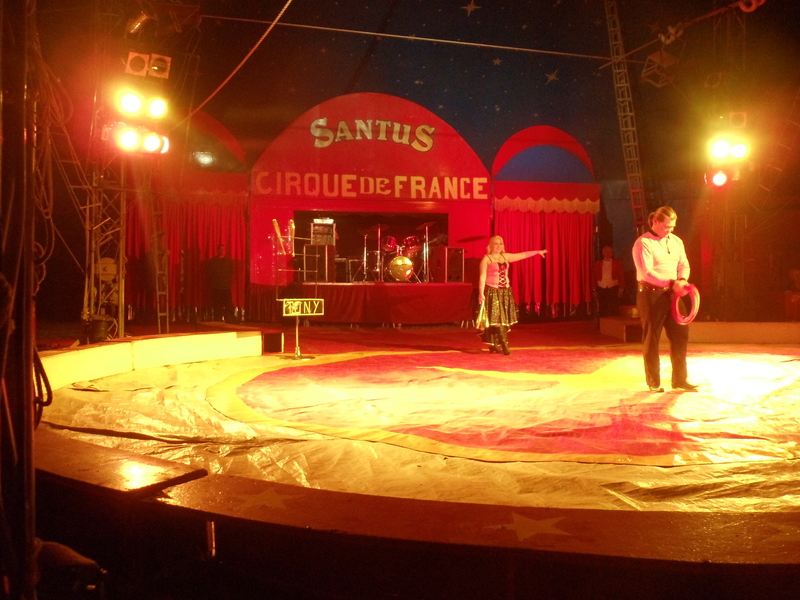 The family-run Santus Circus put on a really good show as the acts performed so effortlessly that I wanted to go home and try stuff, obviously not the knife throwing or plate spinning. It was a real treat to see live acts rather than watching it on TV.